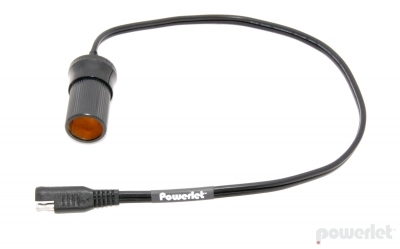 Convert a SAE Luggage Electrix™ lead (Battery Tender harness) to a Cigarette socket. Good for cell phones, radar detectors & GPS units. Carry this in case of an emergency, plugs into any Battery Tender lead! Available in 6" and 18" lengths.